The AR-10/SR25 Super Precision series of scope mounts are optimized for use with an AR-10/SR25 upper. The mounting surface spans 7 picatinny sections and utilizes 4 shear lugs. These mounts use Geissele’s update of the classic nut and bolt method for clamping the mount to the picatinny rail, which is the most secure method of attaching your scope to your weapon. 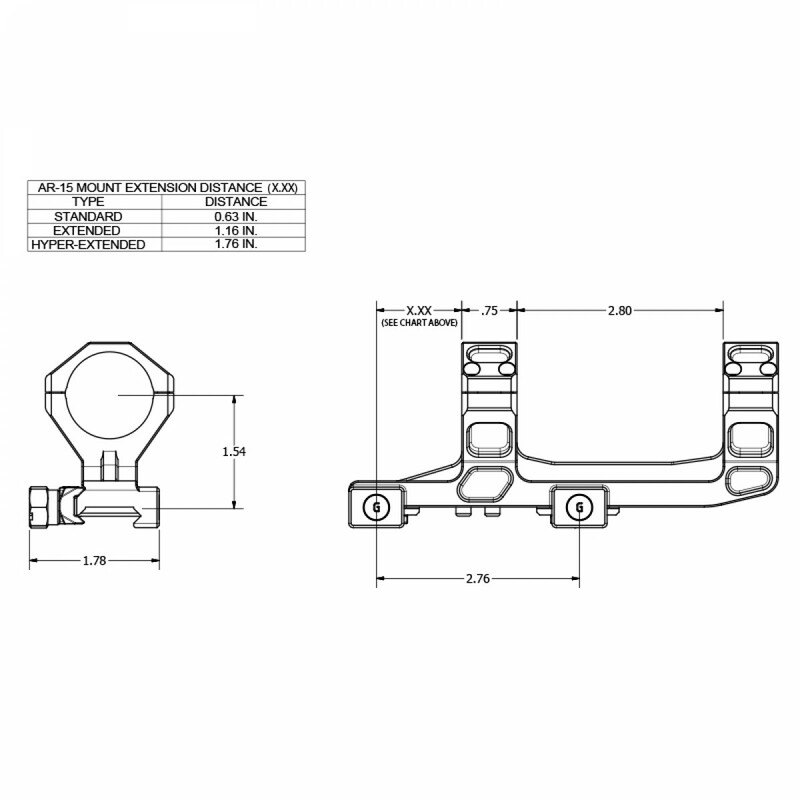 Each nut and bolt combination provides 1,400 pounds of clamping force, much more than any lever mounting arrangement. The Geissele Super Precision Mount is constructed of 7075-T6 High Strength Aluminum. To create a mount with the best possible return to zero we machine the entire mount from a single piece of billet aluminum. This allows us to add pockets and ribs throughout the mount for added strength and rigidity. It allows us to line bore the caps to each another and then serialize the caps to the body. The line bore operation creates the best possible fit to the body of your scope so that you can apply proper torque without fear of crushing or damaging the body of your scope. Another advantage of machining from a single piece of aluminum is that we are able to create a mount with cap locations that will suit a wide variety of scopes.